The Wan-Bernadels are made almost exactly like the original French, Gand-Bernadels. The only change made was for our present day model to have slightly more sloped shoulders to accommodate the present day, levels of playing. At first some might ask ‘what’s this all about being a copy’? When you’ve seen as many basses as we have here, you start to see some patterns: For one, both Italian and English basses tend to come in all shapes and sizes, usually pretty big sized. The Italians did not have a ton of “co-mingling” because of the logistics. Therefore there were so many odd shapes and sizes. Very high shoulders, long bodies, very wide bodies etc… While Italy is a small country, getting basses in and around and showing them to various makers, was virtually impossible. 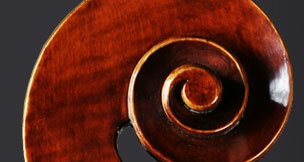 (Think here: bass, horse and wagon, etc…) Back then, not many bass players ventured past the G harmonic. 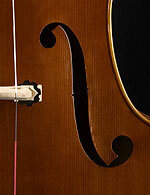 The French though made basses in large communities of makers and they had a system. They were also a little ahead of the game in that they first started to realize as an industry, that the basses being made around the world were too big and therefore hard to play. 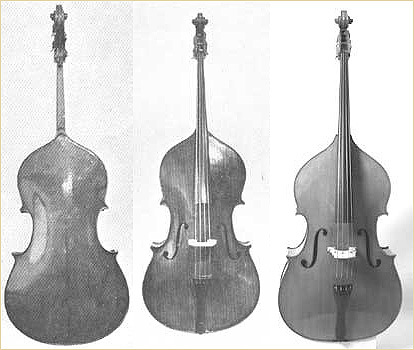 Gand & Bernadel probably made the best basses in France. (One could argue that a Vuillaume would always trump a G & B, but it was more Gand & Bernadel (for basses) that was more innovative and prolific. Email us here. Quality of materials and workmanship. Just like the G & B basses, the Wan-Bernadels are made with the same woods: The top is made from high altitude spruce. The neck, back and ribs all from maple. The most impressive thing about the ‘Wan’ is that they are all hand-made basses. Even the maple backs are planed out by hand. They could have chosen a softer, easier wood to work with (like willow or poplar) but maple has some definite advantages: For one, it’s stronger and will hold up over time. It’s less prone to seasonal shifts and cracking and more noticeably, maple is so much more attractive. Without sounding too redundant….it’s the way the originals were made as well. Oil varnishes are too, all hand applied and hand rubbed. This is an often overlooked aspect of buying a bass. Look inside! If you look inside the bass you can see the thick strips of spruce or pine lining that hold and fortify the ribs to the top and back. Each corner of the bass has blocks made of spruce (usually) that connect the linings as well as all the corners and edges together. Over time, this is crucial to a bass and most players don’t really think too much about what’s inside, but what they can only see on the surface. You can Email us here! While the bass is made in China, the tuners, bridges and endpins are all imported. Accessories add up to make a big difference in quality of workmanship, value, and tone of the bass. We use only the best and highest grade French imported bridges on the Wan-Bernadels. Most of the time, using the Despiau brand bridges or the highest grade, Aubert. Next, we only use tuners made in Germany or the USA. The best tuners for the money and reliability have been the Rubner tuners out of Germany and they also make very similar style of tuners that the French used in the 19th century. These days, (because of the labor costs and skill required) makers choose to use plated tuners or tuners that do not have to be recessed into the scroll. Wan takes the time to do it the old, slow way. Each tuner installed in two parts: The base is carefully carved out into the cheek of the scroll and the gear is put exactly into place. It takes time and expertise to install these tuners, but because of the overall quality of the bass it would be a shame not to! When setting up a great bass, every element or part of the bass is essential for the bass to play its optimum equation (ie. everythign matters!). The bridge is often overlooked. On all WB basses, we use the Deluxe Despiau bridge imported from France. The wood is treated and Despiau is the premium quality brand that goes the best basses being played throughout the world. For endpins, (Germany) we use the very dependable, Gotz or Ullsa endpin. From the very top to the very bottom, each part part of the bass, every carved detail inside of the body, and each accessory (or link) add up and compliment the bass. Strings: Just about any brand that's available. We use mostly Thomastik (Spirorcore) or Pirastro (Flexicores, Obligatos etc..) brand strings, but will gladly put on any other type string that the player prefers. A quick note about our setups. We are the most discriminating players here and only the best set up, sound and 'feel' gets approved. We are more than happy to talk with the individual player to get their special requirements met. Steve (the owner) is a big baby! He likes the bass to be set up so that it is the easiest to play, (and without buzzing). We use the new black (Delrin) bridge adjusters. They are the best adjusters because they minimize any interruption of vibration or tone from the string to the top of the bass and they keep the tone 'true'. The brass type adjusters, mute the sound. Aluminum, is better than brass, but sometimes adds brightness to the tone of the bass. While the black adjusters are more attractive, they also turn beautifully well!